The Mercedes-Benz tuners are at it again with a limited edition for China. Carlsson was purchased (well, 70 percent anyways) by Chinese dealer Zhongsheng Group Holdings Ltd. last week and the Mercedes-centric tuning company has wasted very little time in creating a limited special edition model for the Far East market. 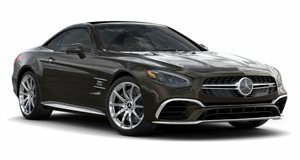 The C25 Limited Edition is based on the Mercedes-Benz SL65 AMG and packs a 418hp V8 engine, a much more toned-down option than their previous product of a twin-turbo V12 rated at 753hp. In terms of styling, the C25 LE sheds about 400lbs from its standard counterpart thanks to a carbon fiber body. The restyled body includes redesigned head and taillights, aggressive front fascia with bigger intakes, longer grill, side gills and huge quad-tailpipes. Carlsson has made their C-Tronic suspension optional along with carbon ceramic brakes, amongst other things. Carlsson is producing only 7 units of their C25 Super GT special edition. Available only in China, the limited edition model runs 4,000,000 RMB, roughly US $630,000.